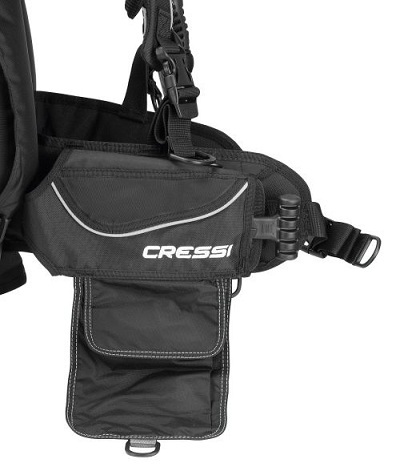 The Cressi Ultralight BCD is a back inflation style device that is extremely lightweight weighing in at a mere 4.6 lbs. 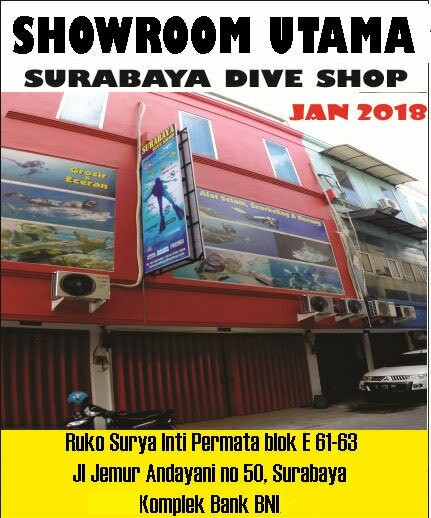 (2 kg) in size medium making it irable for the traveling diver. 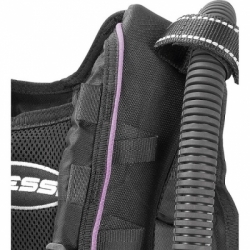 It is equipped with special anatomical shoulder straps with 1.73" (40 mm) torso adjustable buckles and a comfortable and practical soft back pad. BCD has a Lock Aid flat version integrated weight system, hideaway pocket for accessories and its air cell is made from durable urethane laminated 420 denier nylon. The Cressi Ultralight BCD is the lightest BCD on the market! Great for travel with its fast fold system, designed for travel, and easily adjusted for a custom fit with the torso, sternum and waist straps all equipped with squeeze-style" side release buckles. The Lock Aid flat version integrated weight system holds up to 20 lbs. (9.1 kg) of hard block or soft weights. BCD comes equipped with Cressi's streamline Commando Power Inflator with cable activated pull dump valve and 3/8" threaded quick disconnect hose. Shoulder overpressure relief valve with pull cord is provided for trimming of buoyancy. The inflator mechanism is environmentally sealed for greater reliability and less maintenance. 4-lightweight plastic D-rings are provided for accessory attachment. 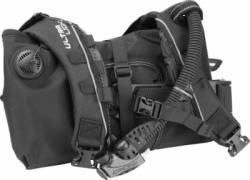 The BCD provides 20.2 lbs. to 31.7 lbs. 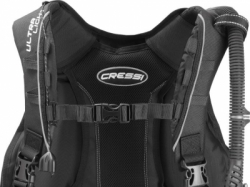 (9.2 kg to 15.3 kg) of lift depending on BCD size. BCD is CE certified to EN 250-EN 1809 standards, and comes with an owner's manual.